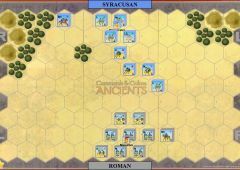 Following the capture of Syracuse by Marcellus in 212 BC, most of Sicily was now in Roman hands apart from a sizeable pocket of Carthaginian troops at Agrigentum under their commanders Hanno and Epycides. 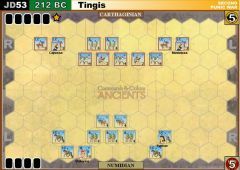 Hannibal sent a veteran Liby-Phoenician general to Agrigentum, called Muttines, who started initiating a series of successful cavalry raids in Sicily with his Numidian cavalry. 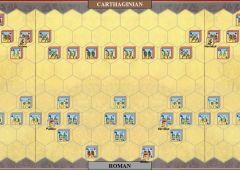 Marcellus advanced on Agrigentum with an army of about 18,000 infantry and 2,400 cavalry and camped next to the Himeras River. 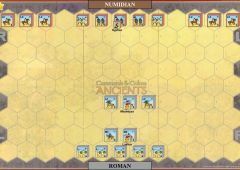 Muttines badly handled the Roman outposts, but Hanno, jealous of the success of the "half-breed" Muttines, sent him off to deal with a minor revolt by some Numidian cavalry. 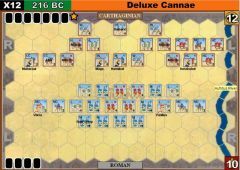 With Muttines out the way Hanno appointed his own son to command the Numidian cavalry and advanced his army of 20,000 infantry, 4,000 cavalry and 30 elephants over the river Himeras to do battle with Marcellus and claim all the laurels of victory. 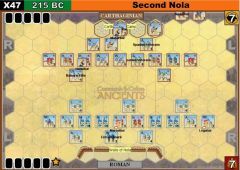 At this point Numidian deserters approached Marcellus and said that because of the poor treatment their leader Muttines had received they would take no part in the coming battle. 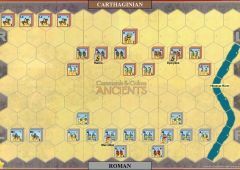 Buoyed by this good news, Marcellus attacked despite his numerical disadvantage. 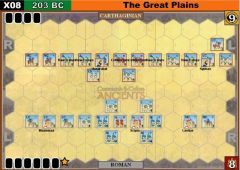 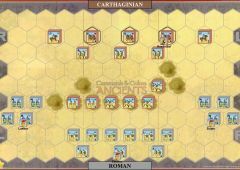 The two lines of infantry clashed, but with the Numidian cavalry clearly not moving, Marcellus ordered his own cavalry to outflank the Punic line and put it to flight, which they duly did, the Numidian cavalry only coming to life to cover their armies retreat to Agrigentum. 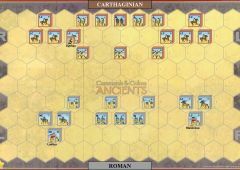 The Carthaginian light cavalry units (Numidians) may ignore 1 crossed sword and 1 retreat banner. 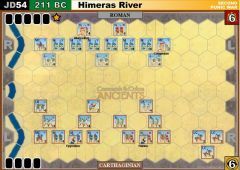 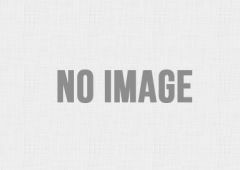 The river (Himeras) is not fordable. 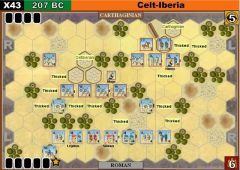 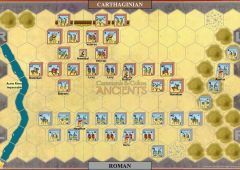 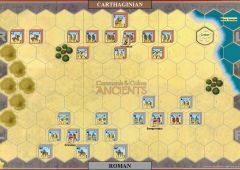 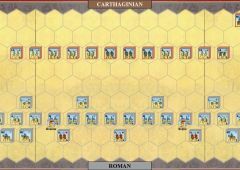 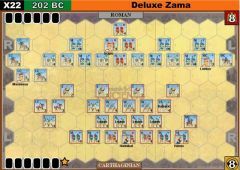 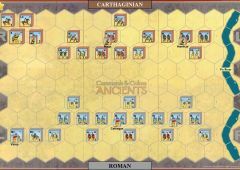 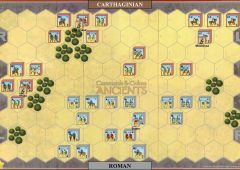 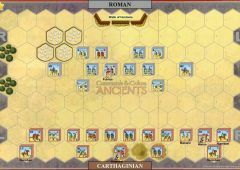 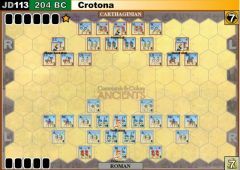 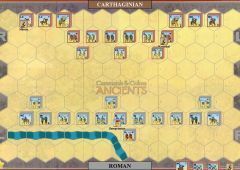 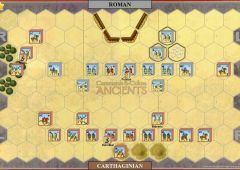 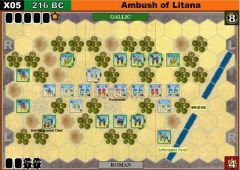 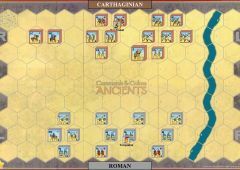 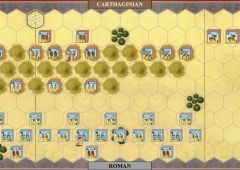 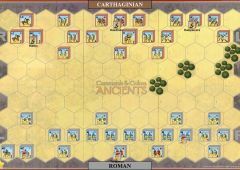 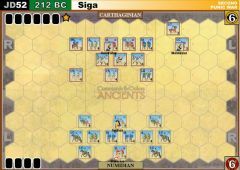 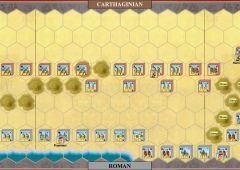 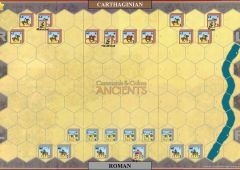 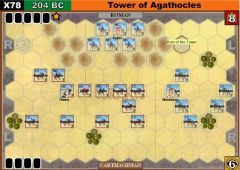 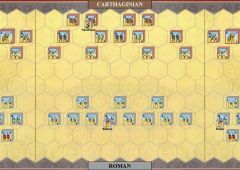 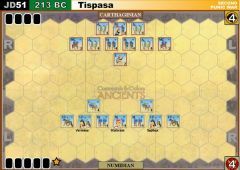 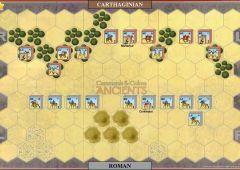 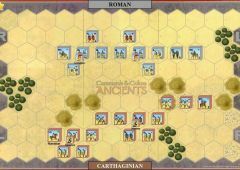 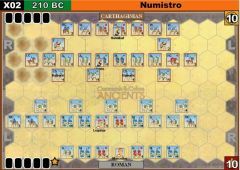 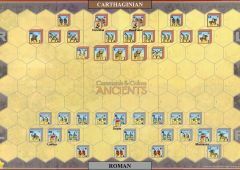 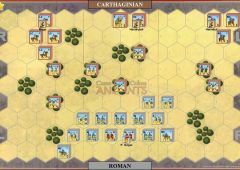 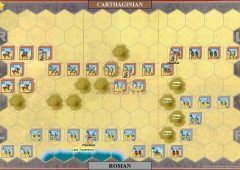 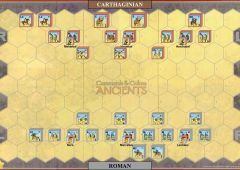 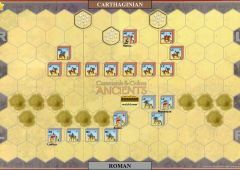 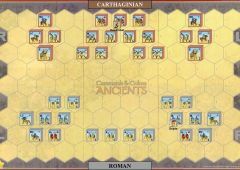 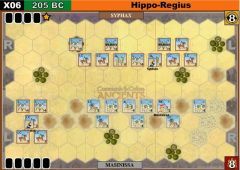 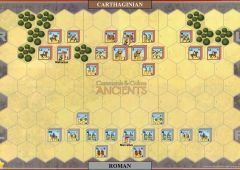 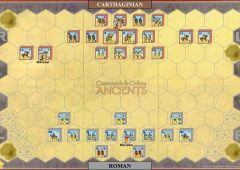 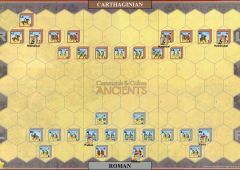 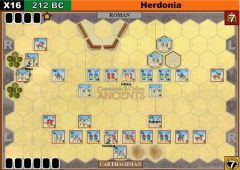 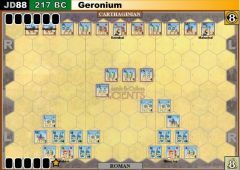 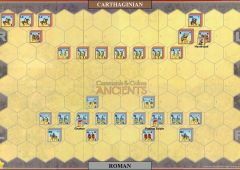 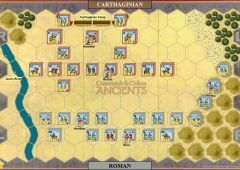 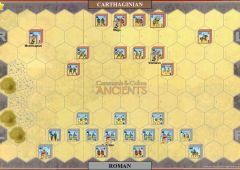 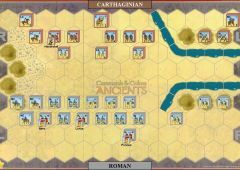 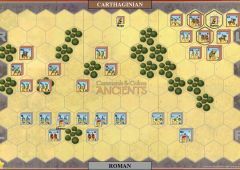 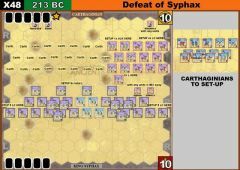 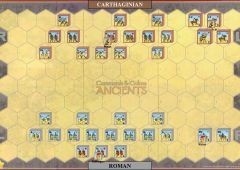 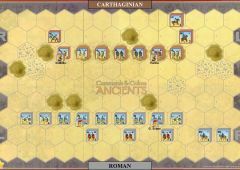 After the Carthaginian player has issued orders to any of the light cavalry units, but before those orders are carried out, that player should roll 1 dice. 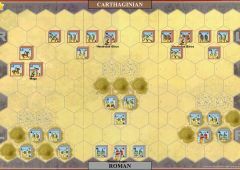 On the result of a leader the said units may carry out their orders and no further die rolls will be made. 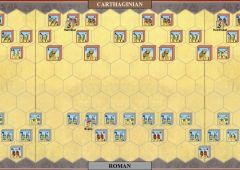 On the result of a banner all 3 light cavalry units are removed from play and the Roman player is awarded 1 victory banner. 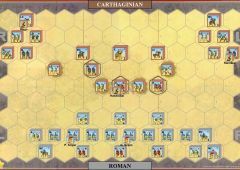 On any other result none of the ordered light cavalry units may carry out those orders, those orders are lost and this process must be repeated if any of the said units are ordered in any future turn. 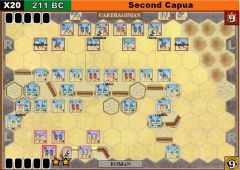 The Roman player may not attack the light cavalry units until they have been successfully ordered following a leader result above. 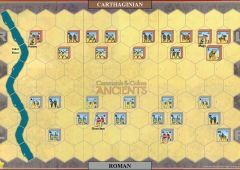 OPTIONAL - To play the battle with Muttines present, ignore rule 3 above and place a leader (Muttines) in hex A12.